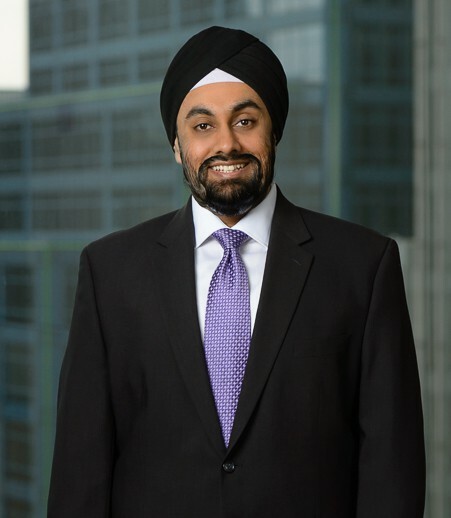 Upneet Teji represents businesses in a broad range of corporate transactions and commercial real estate matters in a variety of industries. Upneet represents clients in M&A transactions, day-to-day corporate counseling and the acquisition, disposition, leasing and financing of all types of commercial real estate including retail spaces, oil and gas assets, office spaces, industrial properties, health care facilities and mixed-use and multifamily properties. His practice covers a spectrum of industries, including energy (oil and alternative energy), technology, health care and finance. Upneet negotiates asset sale and stock transactions, fundraising and investment documentation together with other agreements related to licensing, employment, franchising, joint ventures and marketing ventures on behalf of businesses, issuers, investors, and employees. He draws on his experience from a broad spectrum of multimillion-dollar commercial transactions. In addition, Upneet represents a number of regional and national lenders in complex financing transactions involving commercial real estate, asset-based lending and other types of secured lending in both single-bank and syndicated financing transactions. Represented a vehicle rental company in the acquisition of a major independent licensee and assumption of related leasehold interests related to a major airport car rental location. Represented seller in a $60 million sale of an international manufacturer and distributor to a private equity company involving the seller retaining and interest and management in purchaser. Represented a web hosting, server and cloud service provider client in multiple acquisitions of related businesses. Represented engineering firm in the acquisition of related businesses. Represented seller in the sale of a $75 million shopping center. Represented tenant in the negotiation of a medical office lease in connection with acquisition of property by a REIT and a sublease of medical supply warehouse space. Represented purchaser in the acquisition of undeveloped property in northwest Indiana in connection with a proposed development of an industrial site. Represented lender in connection with the disposition of several REO properties in the Chicago area. Represented lenders in over 100 commercial real estate loans to borrowers for the acquisition and refinance of multifamily properties. Represented a state agency in multiple acquisition loans in connection with the acquisition of low-income HUD subsidized properties. Represented related borrowers in connection with $14 million CMBS loan from conduit lender for refinance of debt on 8 properties located in 3 southeastern states and related defeasance of existing loans. Represented borrower in connection with a $46 million global credit facility for the refinancing of two skilled nursing facilities and the acquisition of a third skilled nursing facility. Represented administrative agent in a $100 million syndicated loan to the acquirer of an auto financing business.